Receive Up To $1765.00 Contact Us For Details! At Provincial Heating and Cooling, we’re proud of our years of service to the Winnipeg area and look forward to helping you with your air conditioning and heating needs. We’re pleased to serve both residential and commercial customers; our team is prepared to help you with the sales, service, and installation of the comfort system that is ideal for your home or business. And be sure to ask Provincial Heating & Cooling for a free estimate. Whether it’s a new installation or routine service, our factory-trained technicians provide the expertise your comfort depends on. 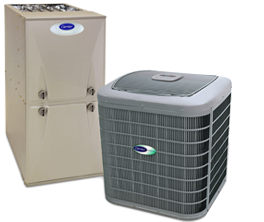 At Provincial Heating & Cooling, we do repairs on all makes and models of furnaces and air conditioners. When it comes to your family you want dependable air conditioning and heating systems that provide you with value as well as comfort. Thanks to Provincial Heating & Cooling you can expect value and comfort. Do you need a new furnace or air conditioning system installed in your home or business in Winnipeg Manitoba? Is your HVAC system not running smoothly or efficiently? Whether at home or work one of the most essential aspects of your environment is that the temperature levels are conducive to pleasant living or working conditions. The importance of this cannot be underestimated, and if and when things do go wrong with your furnace it is essential that you have a company that is reliable and will deal with the problem quickly and with minimal disruption to your routine. We believe that whatever industry a company is in, it is the employees who are critical to that company’s success. We place a lot of importance on recruiting the best people, people who have the right skills, but just as importantly can think and solve problems independently. When our clients call our team, they know that the problem will be resolved on the first visit, and that is why so many of our Winnipeg clients have retained our services for many years. As with most of the important things in life, you only realize how much you rely on something when it develops a fault. At Provincial Heating and Cooling, our maintenance service plans, ensure that your AC and heat always work at maximum efficiency and any developing faults are highlighted and rectified before they develop into an expensive full-scale problem. 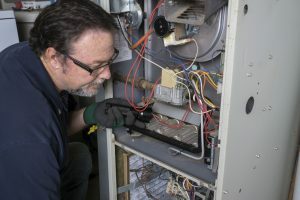 Regular maintenance and cleaning is not only a recommendation by HVAC companies and equipment manufacturers, but it is also an essential aspect of extending the lifespan of your furnace or central air conditioner. Our extensive maintenance package means we will thoroughly check your system, provide a full and detailed report and give any recommendations necessary. The more efficiently your system runs, the lower your energy costs will be, and in some cases, the savings may exceed the cost of the maintenance plan. The average HVAC system has a lifespan of anywhere between 15 and 20 years, so when the time comes to replace your current system, the likelihood is that technological advances will mean that an identical system is likely not available. Our friendly knowledgeable and helpful staff will visit your property and discuss with you all of the various replacement options available to you. They will ensure that you have a thorough understanding of the different systems, in order to make the best decision for your furnace or air conditioner installation requirements. Our staff are not paid on a commission basis; their motivation is in delivering complete customer satisfaction. Your search for a reliable, honest and efficient heating and AC repair company is over. Give our friendly customer service team a call today. 24 hour emergency service available! Wow! Very impressed with both the sales rep and the installers. All professional guys! Had a new furnace and hot water tank installed. On time, very polite, and man did they ever do a fantastic job, not only installing, but the removal of the old stuff. Cleaned up very well and even waited for my husband to come home to show him how to use the fancy thermostat! They went above and beyond! Very happy we chose Provincial Heating! Thanks for the fantastic service! I will definitely recommend this company to my friends and family.